With the number of issues that users report following a major Windows 10 upgrade, you would imagine the company doesn’t have a strong testing team. However, along with their own internal testing engineers, Microsoft has amassed over 10 million volunteer testers who help the Redmond tech giant to rigorously test and polish the software. Unlike the development of Windows 7 and Windows 8, Microsoft has remained open about the development process and the expected features that would make a certain Windows 10 version. When the company introduced the program in 2014, it wasn’t expected to get such a huge following. Unlike Google and Apple, Microsoft didn’t appear to be the kind of “hip” company that would focus so much on user dialog during the creation of an operating system version. However, it certainly is changing its ways with time. Back in September 2015, only a year after its launch, Microsoft had announced the program had over 7 million Windows Insiders. 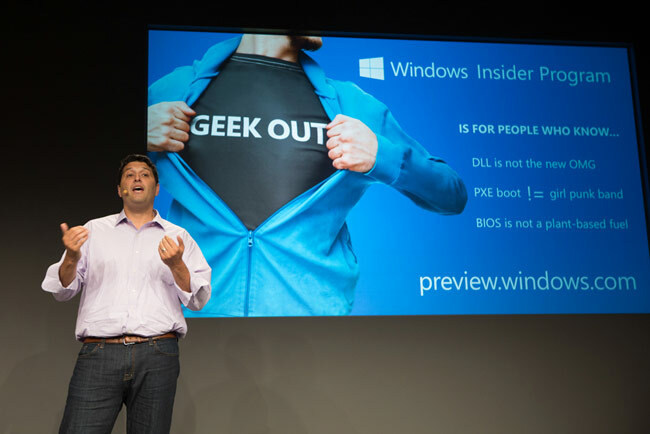 According to a recent post by Yusuf Mehdi, the Corporate Vice President for Microsoft’s Windows and Devices Group, Microsoft now has over 10 million Insiders registered to test the bug-full and occasionally headache-inducing Windows Insider Preview builds. We count over 10M Windows Insiders today, many of them fans, who test and use the latest build of Windows 10 on a daily basis. Their feedback comes fast and furious, they have a relentless bar of what they expect, but it so inspires our team and drives our very focus on a daily basis. While the growth has slowed down following the launch of Windows 10, the company still has an active group of Insiders regularly giving feedback on the latest builds. However, this active community has also come with its own baggage of problems. For some, the builds could break the system, others started to flood the Feedback Hub with irrelevant comments making it difficult to sift for what really matters. Microsoft has also been accused of using Windows 10 testers as free workers as it laid off much of its internal testing team. But whatever the concerns, the program is definitely a success giving Insiders and the public an early look at the upcoming features, along with giving them a chance to push the company to focus on some specific feature or improvement. While we are yet to see the company making anything big in the ever-so-dominant smartphone industry, the company is still rocking the world of desktops. And with this strong a user base, it isn’t a surprising feat to get a few millions of Windows Insiders who are now loyally hooked to the program, leading over 400 million users to better and more stable versions of Windows 10.